Elise Garza is a high school teacher and district technology trainer in Laredo, TX. With FullShot, she creates visually impactful training materials for her many classes, saving her time and energy from tedious computer work so she can focus her energies on creative worksheets, handouts, and in-class training presentations for her students. "I LOVE IT AND DON'T KNOW WHAT I WOULD DO WITHOUT IT. I USE IT ON A DAILY BASIS." "I have used Inbit's screen capture software to create technology training materials since its first version came out years ago. I have upgraded the software repeatedly. "I teach the following high school computer classes: Business Computer Information Systems (BCIS) for special education resource students, Webmastering and Cisco Networking Academy. FullShot has been a great aide in creating teaching materials for all my classes, but especially for my BCIS resource class because it gives special education learning disabled students a picture to go along with text directions. With a class full of learning disabled students of varying disabilities, especially reading disabilities, image-oriented materials are very important in the curriculum. Fullshot allowed me to capture a window, toolbar, button, menu, region and pointers; save all pictures as jpeg images and then quickly and easily insert them into MS Word, PowerPoint, Excel, Access and FrontPage documents. "As a technology teacher, I first teach my students the parts of the program window and tools on the toolbars. Once my students have mastered these basic skills, teaching them the features of the software is a breeze. FullShot helps me do this quickly and easily. 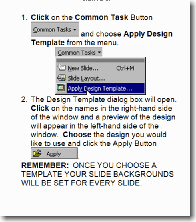 I create PowerPoint presentations to introduce the parts of the program window and tools on the toolbars. As I show the presentation in class, the students label the parts and tools on corresponding worksheets with the same images they are viewing in the presentation. With FullShot screen captures, there is no confusion. What they see on the screen is exactly what they have in front of them on the handout. "To reinforce and practice these skills, I use FullShot images to create games such as, Toolbar Bingo, and Toolbar Jeopardy (done in PowerPoint). I even made large laminated toolbar puzzles of the standard & formatting toolbars done in poster board strips, labeled with the positions for each button, and a small piece of loop Velcro was glued on each button's spot. I created puzzle pieces of the individual toolbar buttons using enlarged color FullShot images inserted on Word documents, then glued them to poster board pieces sized to fit the spot for that button on the toolbar. The individual pieces were laminated, then a small piece of pile Velcro was placed on the back of each piece. My students love competing with each other to match the tool on the correct spot on the toolbar within the time limit given. It made such a great manipulative that I even use it when training teachers on my campus. They get as much fun out of playing the game as my high school students. "I am also a campus and district technology trainer. I train all the other campus technology trainers in our district, plus provide technology training for teachers, administrators and staff on my campus. In this role I have used FullShot to create training manuals for our district technology modules. All teachers in our district are mandated to take, or test out of, Five - three-hour training sessions on Microsoft Office software including: Windows XP operating system, Word, Excel, PowerPoint and our email system (e-Chalk). I created visually oriented training manuals for these modules, and a FrontPage manual for the campus webmasters, using images captured with FullShot. Using images of toolbars, buttons, windows, and menus in the training manuals makes it easy and less stressful for beginners to learn how to use software features. When the text directions say: 'Click on the Format Painter button on the Standard toolbar' and you can insert images of those parts next to the words, it makes learning new computer software a painless process. I have also used captured images in memorandums of directions on how to make changes to their computers or email settings. "Using FullShot images in your teaching materials allows the visual learner to grasp the concept of the textual matter and FullShot makes it simple and easy to do. All you have to do is open your software program, then open FullShot. A set of tools will automatically appear on the program's title bar. 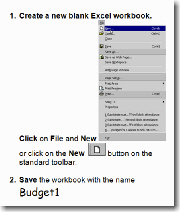 Simply click on the capture tool you wish to use, then click on the part of the program window you want to capture. Save the captured image in a folder on your computer and insert them left and right into a variety of documents. You know the old saying 'A picture says 1000 words. ' Well this is true with FullShot. Its use is only limited by your creativity. It's so easy to use, that even elementary school students can use it. I love it and don't know what I would do without it. I use it on a daily basis. I remember the old days when I would have to use the print screen button on the keyboard to capture a screen image, then insert it into a Word document, print it, then cut and paste the part of the image I wanted to use in the text. It was a waste of paper, ink and time. Now all I do is capture the image, save it and insert it exactly where I want it in my document, then print it out in color or grayscale. The images captured in FullShot are clear and crisp, excellent quality. You don't know what you've missed out on until you try it. It will save you so much time in creating technology training materials, that you will be amazed. I recommend it to any person who has to create technology training materials. It's worth the money spent in the time you will save and the documents you create will look truly professional."